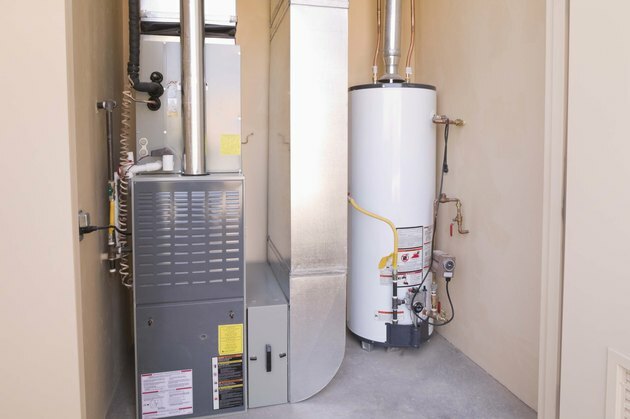 The Tempstar line of products includes air conditioning, heating and other ventilation systems for residential and commercial buildings, primarily in the U.S. and Canada. Tempstar products are manufactured and distributed by International Comfort Products, LLC. Tempstar furnaces ignite the pilot lights and main burners through an automatic process involving an electrical igniter, so relighting the pilot light is fairly easy. Turn off the furnace. This will reduce the risk of explosion, fire or electrical shock while you light the pilot and start the furnace. Cut off electricity to the furnace by unplugging it or shutting off its breaker switch. Remove the screws holding the burner compartment door in place and remove the burner compartment door. Switch off the gas by turning the gas control valve to the "Off" position. Wait five to ten minutes for ambient gas to clear out of the area. This will minimize the risk of explosion or fire when you reignite the pilot light. Turn the gas control valve back to the "On" position. Replace the burner compartment door and restore electrical power to the furnace by plugging it back in or turning on the breaker switch corresponding to the furnace. Set the thermostat to "heat" and set it to the temperature you desire. Ben Jones began writing in 2000 for the "Victorville Daily Press." He has been a reporter for a number of websites, newspapers and radio stations, such as the "Kalamazoo Gazette" and Kalamazoo's NPR affiliate. He has worked on several television and feature film projects. He holds an Associate of Science in film and video production from Full Sail in Winter Park, Fla.